It´s full on summer here in Spain now and it´s crazy hot because of it. I think that´s why I really struggled yesterday. I think on paper this WOD wasn´t as hard as some of the other ones I did, but I struggled a lot with it. We started with 2 reps of each and the ascending ladder means that every round you add 2 more reps. So first round is 2 of each, second round is 4 of each, etc. I substituted the handstand pushups for wall climbs. And because wall climbs are a bit more straining we started them with 1 and then add 1 every round. But even that turned out to be too hard for me. I really struggled a lot this workout. Black spots.. out of breath. Dripping sweat. I did a total of 6 rounds, but I didn´t multiply to wall climbs. I just did one of them each time. I couldn´t handle more :( (I should really practice the hand stand!!). 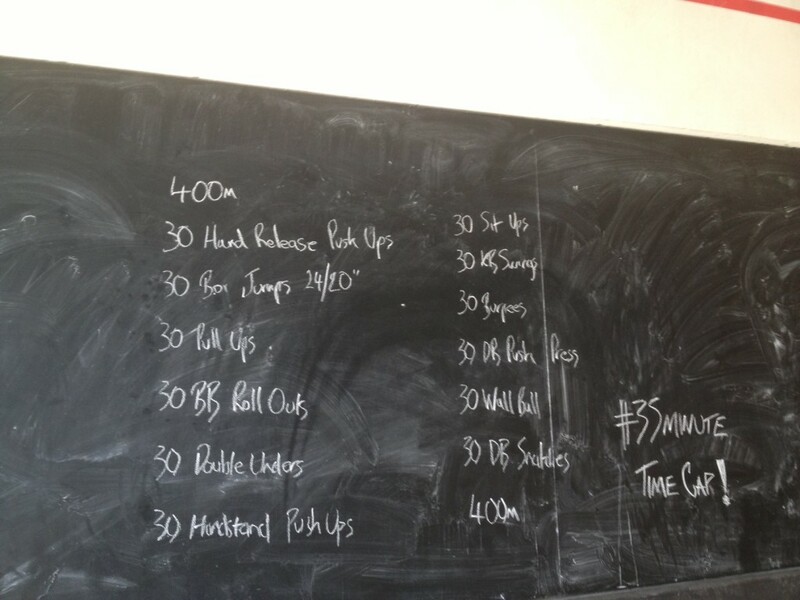 So in the end I did a total of 6 wall climbs and a total of 42 of each of the other movements. After finishing the workout we got 3 minutes of rest and then had to run 1 mile, which was 4 laps around the building. I thought I would be ok on the run as I´ve been practising running for a while now, but it was horrible! I started out too fast so I burnt out after the first lap and had to walk a short bit on every lap after that. The first lap I came in as one of the fastest, but in the end I was the last one to finish. Lesson learned ;). I switched to another time. I used to go at 7pm as I went straight after work. But this week I moved apartments and I now live much closer to the box. So now I go home first and go to CrossFit at 8pm. It´s a bit quieter at 8pm so I think it´s nicer (7pm class is always fully booked with usually some extra people there as well). But it felt so much hotter today than last week. Not sure if the temperature is so much different or if it just gets more hot in there every hour. Because then I might switch back to 7pm :p.
Another tough workout. We had a 40 minute cap to do the above. 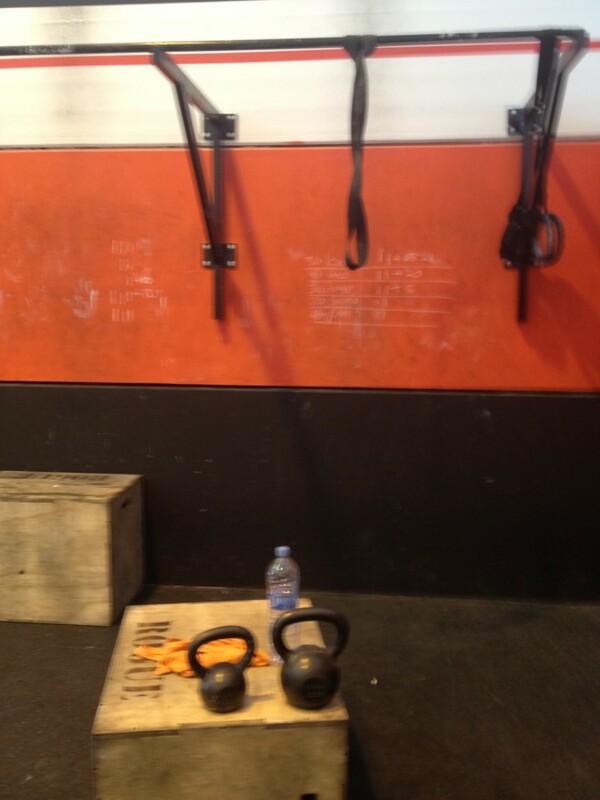 I did the kettle bell swings with 8kg. I think I can do heavier, but I don´t trust my technique yet and don´t want to get back troubles or anything. So rather keep the weights a bit low until I get used to these exercises. Besides, I have enough trouble getting through an exercise like this without the weight hehe. The sumo dead lift I did with 16kg. I wasn´t able to finish the complete three rounds.. 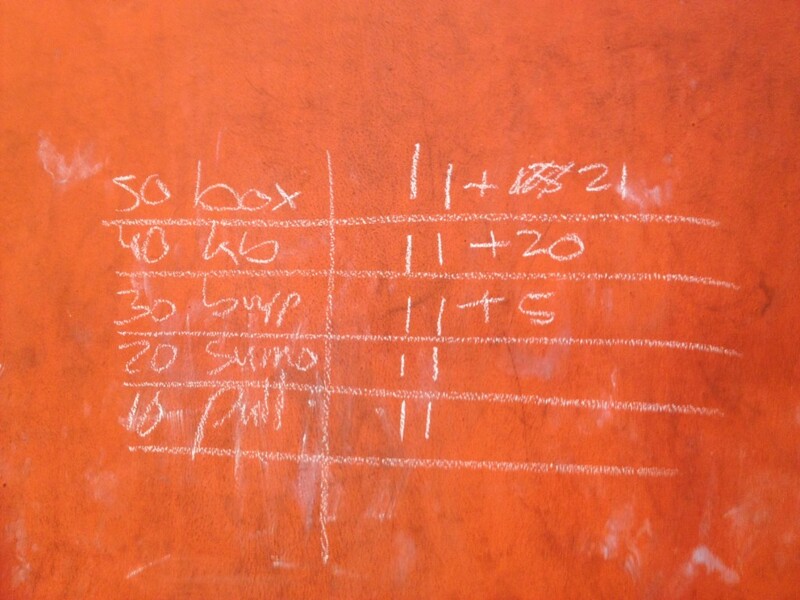 So, that´s two rounds of each exercise and then 21 more box jumps, 20 kettle bell swings and 5 burpees. I had the most trouble getting the pull ups done (I didn´t do them till the chest btw, just the normal chin over bar). My arms would be so tired at this point that I struggled getting up. Even though I used the black band. 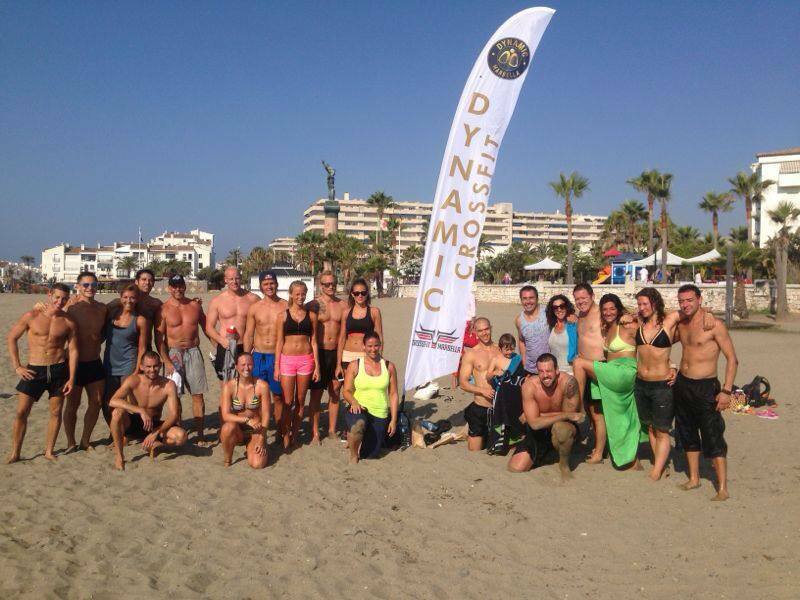 Box jumps weren´t easy either. I had two times when I made the mistake of not jumping both feet at the same time and almost falling face down, because I didn´t lift my feet high enough. I guess that´s what you get for trying to cheat haha. It always surprised me when I do the box jumps though, because before the first jump it really seems impossible to me to even get one done. I don´t know the height I did them on. The box has 3 ways you can put it and I did it on the lowest possible. Which is probably not 20 inch, but a little lower.. maybe 18 inch (45cm).. The burpees give me the most trouble breathing-wise and feeling faint. I think it´s because of the going down on the ground and all the way back up in so many repetitions. Not good for the heart :p.
I think I would have managed to finish it though, if there wasn´t a time cap. I just need too much time to catch my breathe sometimes. But hopefully in some time those breaks will get shorter and shorter :). I tried to take a picture of my “workplace” afterwards, but I was shaking so badly I wasn´t able to get it sharp lol.